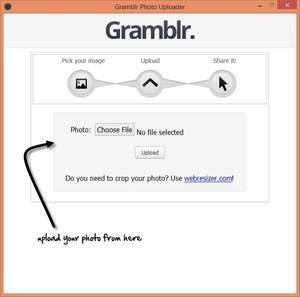 Gramblr is a basic Instagram assistant which enables you to upload images to Instagram from your Windows desktop. Getting started with Gramblr involves logging in to your Instagram account with the correct credentials. The main interface of Gramblr couldn't be more simple: Select single photos that you want to upload. The images should be in JPEG format _and_ be square! Version 2.9.165 is a freeware program which does not have restrictions and it's free so it doesn't cost anything. For security reasons, you should also check out the Gramblr download at LO4D.com which includes virus and malware tests. Additional screenshots of this application download may be available, too.